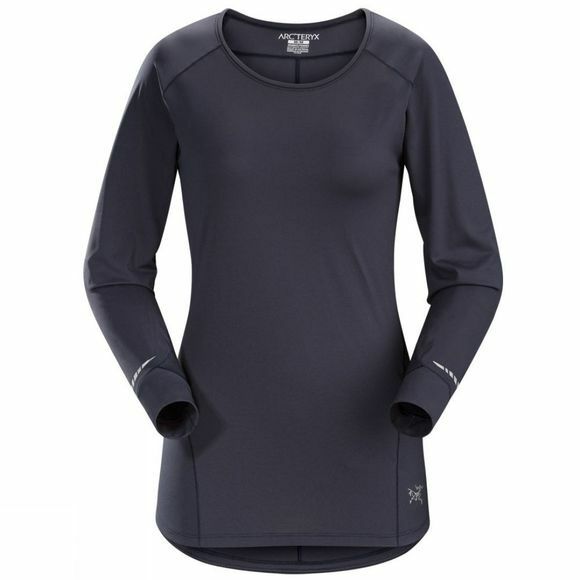 The Womens Motus Crew Long Sleeve Top from Arc'teryx is designed for performance on the move, the Motus Crew Neck Shirt Long Sleeve is made from lightweight Phasic FL, an advanced bi-component fabric that wicks moisture and dries quickly. Optimized to meet trail running’s high output demands, the Motus is patterned for exceptional freedom of movement. The women’s specific trim fit and stretch fabric move with the body and keep the fibres close to the skin to maximize wicking performance. Reflective blades at the sleeves increase visibility in low light.